Bless the heavens, Jack and Beth are back and better than ever! 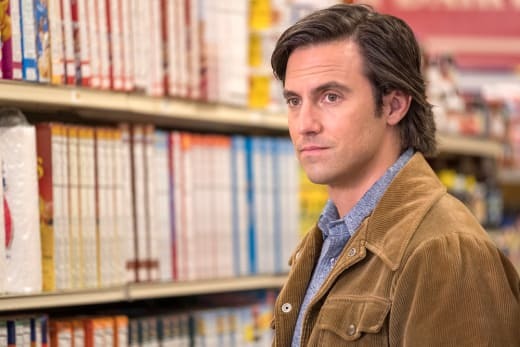 And that's only a small reason why This Is Us Season 3 Episode 3 is one of my favorite This Is Us episodes of all time, and trust me -- it has a lot of competition. It managed to be so simple, yet so beautiful, reminding me why I watch this show in the first place. 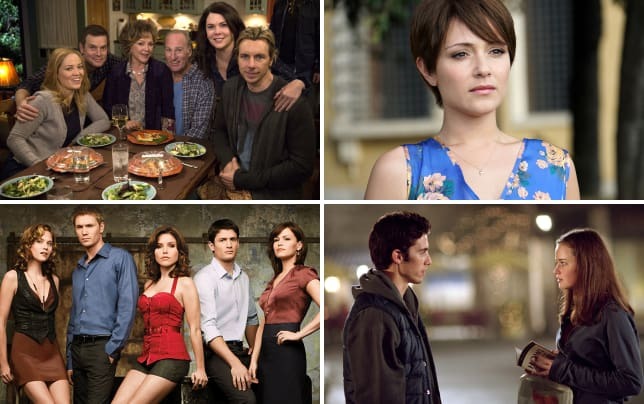 There is no family more complicated, but also more full of love then the Pearsons. That sentiment rang true in the first few minutes of "Katie Girls" at Kevin's film premiere. Finally, after years of being brushed to the side and told to wait, Kevin Pearson finally got the applause from his family he so rightfully deserved. Take it in, Kevin, you deserve it. Sure, it was such a brief moment in "Katie Girls," but it's these moments when the show shines a light on its overall theme. Families may fight and be selfish at times, but in the end, they are there when it matters most. It wasn't the only shining moment for Kevin either. The man has grown up since we first met him on This Is Us Season 1. Gone is the spoiled actor. Instead, he has become a caring and compassionate man, just like his father. That is why I'm so excited about the story they are going to tell with him exploring Jack's past in Vietnam. It could lead to Kevin enlisting himself, which is another exciting story to tell. There wasn't a lot of Kevin in the episode, but the direction they are going with him has a ton of potential, and I'm excited to see where they go with it. 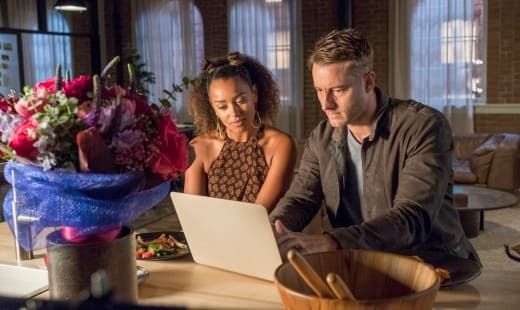 And if a Kevin enlisting in the army storyline wouldn't get Justin Hartley an Emmy nomination, I'd officially give up on the Academy. While Kevin looks to the past for answers, the futures for Randall, Kate, and Beth are all about to change. 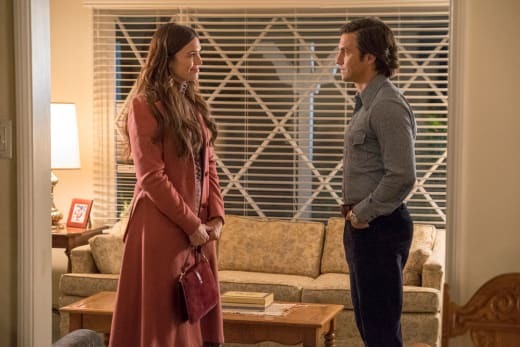 Kate was awarded the title of the world's most selfish sister on This Is Us Season 3 Episode 2, and at first, it seemed like that wasn't going to change. Randall confronted her about the hurtful things she said about him not being like Jack and how adoption was the last resort for her. Instead of apologizing like a good sister, she somehow turned it around on him and made him feel like the bad guy. Then when he tried apologizing on the phone, she hung up on him! What is wrong with you, Kate? Why can't you be nice to your brother? These are things Rebecca should be saying to her daughter right now. Randall, proving that he's more like Jack than anyone, flies across the country to try and apologize to his sister in person as well as be there for her while she's in surgery. Super Randall to the rescue! Kate doesn't deserve Randall as a brother. Like seriously, I still don't understand how he was in the wrong during their fight. On the plus side, Randall and Toby had a chance to bond a little more while in the waiting room. Who knew two bro-in-laws bonding over their mental health issues could be so adorable? I wish Toby had more opportunities to hang out with Randall and Kevin. There was a moment while they were talking that it seemed like Toby might fess up that he wasn't taking his anti-depressants before he was interrupted by the doctor. It seemed like a foreshadowing of some sort. Maybe Randall will be the one who helps Toby during his depression. Maybe this is all related to that "her" from the flashforwards. I know I sound like a conspiracy theorist, but I've put a lot of thought into this. While Randall and Toby bonded, an unconscious Kate had a dream that featured her little self, her teen self, and Jack. 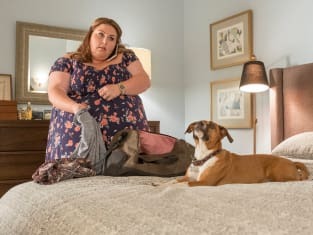 The nice Kate we know and love from This Is Us Season 1 has been trapped inside a dream state and has been replaced with mean Kate in the real world. Or at least that's what it felt like. It was nice having the old Kate back during this dream sequence; I missed her. She was kind, optimistic, and funny. Luckily, it seemed like that's the Kate that woke up after the anesthesia wore off. I mean it! She said nice things to Randall and everything! Old Kate is back, yay! Beth also made her grand return after rarely being seen in "A Philadelphia Story." She even had her own storyline sans Randall which was a nice surprise for us, if not so much for her. The idiots at her company somehow had the audacity to let her go! People never know the prize they have until they give it away. Randall, not knowing that it has happened, tells her he's running for council. He decided that after visiting Chichi's daughter in the hospital, who got assaulted at the community center. After he told Beth his decision, she told him she got fired. The somberness in the air was alarming. Trouble is in the waters for our favorite couple; I can feel it. Randall is so used to Beth always being his rock, but she needs him now. Will he be able to give her what she needs if he runs for council? Things are looking bleak my friends. Things are not looking bleak for Jack and Rebecca. In fact, things are looking great. It's been obvious since we first met our OTP that they have sizzling chemistry, but damn, the fire between them is hotter than ever. The backstory of how they first met may be one of my favorite storylines on the show, ever. It's just so sweet and beautiful to watch. But most importantly, it shows us that Jack and Rebecca weren't always the same people they are when they are married with kids. In fact, they are quite different, especially Jack. He isn't the confident man who plans grand romantic gestures and tells corny dad jokes. Instead, young Jack is shy, reserved, and a little scared of taking risks. But the guy has always been good at giving tear-jerking speeches. I've never been one of those people who wish actors would get married in real life, but after seeing the way Jack looked at Rebecca in the grocery store, I need Milo Ventimiglia and Mandy Moore to get married right now. The love they display on-screen is just too real. It's so real that, let's face it, we all knew Alan stood no chance of getting Rebecca to go to New York with him. Once you meet Jack, you never go back. Now, after only knowing each other for two days, Rebecca and Jack are going to take a road trip to LA. I need to see this. Dan Fogelman can't tease me with something like this and not deliver! I will not accept it. All in all, this episode proved that incredible television does exist just by telling the simplest of stories. 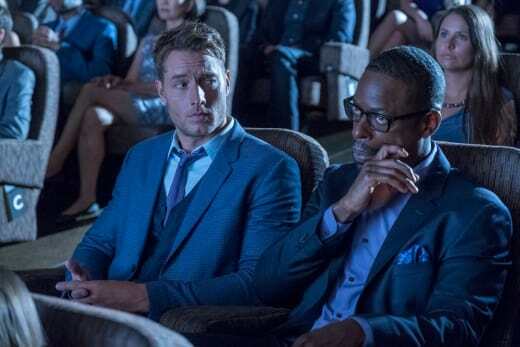 This Is Us is returning to its roots, and I will have a front-row seat watching it blossom. What did you think of "Katie Girls"? How madly in love are you with Jack and Rebecca? Do you think Beth and Randall's relationship is in trouble? Let us know in the comments and if you need to catch up make sure to watch This Is Us online right here on TV Fanatic!